This app is a little costly and it is always down or unable to connect to server. I can’t tell if I have appointments. That defeats the purpose of this app. I wish I could get my money back. 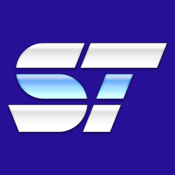 This app is very important not just for the owner but also for service providers. As an owner, an important feature is to view by week a service provider’s schedule. This view is available on the desktop. Another important feature to add is the ability to run reports from app. Can't access my clients profile card on the app. Can't adjust appointments that are already booked you have to redo the whole booking process. Things like that. Needs more access that helps do hair quickly and efficiently without having to walk over to the computer and logging in. STX is amazing. The app needs work. Bought app when first came out; didn't work because they didn't mention a $300.+ "module" was needed to add to ST software I already owned. Instead, went on monthly plan ($25) to access my records at work. TERRIBLE app, so eventually quit monthly fee. Had a computer problem recently so in emergency, thought I'd reinstate app for the day, to access color formulas, appt book, retail info, etc but now insist on 190.00 fee, NO monthly plan. Desperate, I did it. Had to REPURCHASE app for iPhone, noticed I'd have to purchase again to have on iPad. App is still horrible, and other issues with company that is dishonest. Watch out, they aren't on the up and up. STX has worked really well for us, it keeps our staff connected and informed. You know when your client is checked in, even if you are in a facial. It is easy to keep client notes, you just have to go to the service date, then you know what date the notes are for. That is where I keep all my color formulas. It is true that I can only see one day at a time, but it's my phone! My staff can book appointments, mark out their lunches, see their schedule from home. My clients book online in real time, no waiting for a confirmation email, the receptionist doesn't have to do any extra steps. It's expensive, but it is a big part of our success, so it has served us well. Wish I could view my schedule for to week like I can on the desktop version. Would also like to see and change tickets. Other than that it works well. STX is expensive. So I expect a lot more out of this app and it's really lacking in functionality and polish. And even after the recent update, it doesn't even utilize the larger screen of the iPhone 5. What gives??? Update... Another update the day after the last one. Fixing bugs, are we? Although there's no mention of it in the update description (which matches the previous description). So now two updates since the release of iPhone 5 and still not supporting the larger screen OR building up the poor functionality. Ridiculous. STX, if you want to make a good app that will cause people to want to use your service, just contact some of your users and ask about what problems they have. Or just put a little bit of thought into it and you'll easily come up with a hundred ways to make an app that people will want to use and actually want to recommend. It really wouldn't be that hard for you to make your existing customers happy and thereby bring in new customers. Update... Yet another update from STX and still no full screen support for iPhone 5! Update... Is it time to at least increase the screen size yet? By the way, has anyone responsible for this app ever run a salon? This is an expensive program and the ipad app is subpar. It's never been great, for example you can't see your week schedule, you can't move an appointment, you have to delete it and rebuild it, you can't look up client info, if you want to see their notes you have to build an appointment to do so and now to top it off it's stuck in horizontal view, with the times cut off on the sides! Oh but wait, when I tap it to make an appointment the screen flips. Super annoying. The salon I rent at uses this program otherwise I'd get something else. I have push notifications enabled and there is a bug. My client checks in and i get notified, thats fine, but throughout the day ill randomly be notified multiple times that my client is here even though they left hours ago. Every time one client gets checked in I get notified for all the past clients as well. This is extremely annoying and makes it difficult to use my phone regularly when I get alerted so many times. Pleeease fix this bug!!! ugh. this app is not up to par. Would really love an update guys. Essentially, this is just a schedule viewer, which is just fine and all, but after the thousands of dollars you need to spend on the desktop app, this app should be free. But, for a $5 app, I'd expect a more robust feature set. For instance, the book view shows all hours from midnight to midnight. Maybe there are salons and spas that operate during those hours, but for those of us who don't, it's wasted space. It's a minor annoyance but makes the point. There is, however, the option to control and add inventory, as if doing so on an iPhone is an obvious first choice. It isn't. The features included are arbitrary, at best. For instance, on the desktop application, you are required to change your password every 90 days, it must be exactly 7 or 8 characters in length(no shorter and no longer), use letters and numbers and not be a password you have ever used before. My brokerage account with my life savings didn't require such obfuscation. I've spoken, at length, with support at STX and was told features are a last priority, behind fixing bugs and stability issues. Makes sense, but without adding the features that seem obvious to us using the applications(both desktop and mobile), I'm left both trapped and annoyed. I will happily give more stars if there is an update since the bug fix of October 2014!! $5 for an app that doesn't work. One of the main reasons my salon switched our booking system over to STX was because we could DL the app to our phone, as stylist, and book on the go. The problem is that the app won't work for more than 5 mins. I have tried to log out, close the app, reboot the phone, and even deleted the app and re-download it. Still nothing works and after no more than 5 mins, the screen goes completely blank. It's so disappointing that it won't do the one thing we all wanted it for. Not to mention the fact that STX gets plenty of money from the salon and still charges $5 for an app that DOESN'T WORK. If 0 stars were an option, that's the rating I would give considering the app does absolutely nothing but turn to a blank white screen. I was very under impressed. Always disconnected from server....can't view...see...adjust schedule. Not user friendly At all. I'm coming from a salon where that system was over 10 years old ...but Much more efficient. No place to add pop ups on clients or check in all for a client with multiple bookings...over all Not impressed! Seems like more of a pain than a helpful tool! I would not recommend this app! I love this app and I am very happy my salon runs off of it. The only thing I would change is it would be great if we got a notification when a new appointment is added to our books. I've seen a lot of problems where stylists are getting an appointment booked but don't check the app for a few hours and don't even realize they have another client. Also I feel like I don't always get notifications when my clients check in. Please fix those issues, it would be amazing! The bug was fixed for entering prices but there is a new bug that is irritating.. As I keep my ipad propped up horizontally to view my schedule throughout the day, and my stx view will not turn with my ipad. Please fix!!!! It's nice to have the mobile app but even my phone is sending warnings that the creator of the app need to update or my phone will run slow. Very slow. There are more than a handful a glitches. I'm looking into other booking systems. Not that great.. It's supposed to have notifications to each and every stylist every time a change occurs in the schedule but it doesn't. And, if the computer at the salon is off, the apps connected to it, will not be able to access any information on the scheduled. Over hall, lots need to be done to better this app. Ladyhawk 87 number two enlist had a worthy criticism. I agree and think that should be looked at more closely listen to your customers. They are your target market. Very buggy, constantly crushes or just white blank screen appears when trying to open. Great app but it's time to update!!! Hasn't been working AT ALL for a week now!! What is going on?! It's constantly not connecting to the server for days at a time. I always have to go back in the salon computer and find tune my schedule and what I can do from my phone is very limited. Needs serious update! $5 for the app???? It's sad to learn that STX has gone down with their services. The app is not working properly and gives me a message of it might overload my phone. Calling STX is always a hassle. It seems like they doing me a favor with their horrible technical support. People they hire have no educational knowledge about the software. I had switched to a different software and much happier. $300 a month??? No thanks. After installing the latest update we've experienced the app crashing whenever we click on appointments. Will you be coming out with another update soon that may address this bug? Had no problems with the app until we updated. Get with the times and fix your iOS glitches. I am extremely happy that I can book directly from this app, but there is no way to adjust timing for services, which means that it is difficult to customize appointments remotely. There should also be an easier way to edit the time/date of previously booked appointments without completely cancelling them, and then rebooking them. This is actually a really big pain if the timing was customized on the main computer, then a change needs to be made remotely. There is no access to client profiles, so I am constantly having to lean over the shoulder of my busy front desk to get color formulas out of the main computer. All of those things tend to make this app sort of ok, but actually not terribly functional. We just updated this app and the client notification upon check in does not work. I hope this is an error because this is one of the reasons we purchased this software. Will this be fixed??? When booking new appointments on the iPad some open right up, others will not open. There's no rhyme or reason as to which dates and times won't work. Seriously impedes productivity. This app has worked pretty well on my iPhone and iPad so far, I have been using it to book my clients for a couple of months now. There are limitations to it that drive me crazy. It would be nice to be able to change an appt length by dragging down another 15-30 minutes like you can on the full computer program for a client with a lot of hair that you need more time for. Right now I have fake services that say Additional 15 min that I add to the next time slot. It would also be nice to be able to see "week view" like on the computer when you are looking for an appt time for a client, not just a single day at a time. I have not had any of the crashing issues that other people have complained about. My iPhone is telling me the developer of STX needs to update the app because it may no longer be compatible and will slow down my iPhone (6S Plus). For $4.99, you'd think we would get an update once in awhile! First of all, who makes a booking system/app only available on IOS???? Whoever is in charge of this company should be fired, to honestly create software that's ONLY available on ONE operating system. And Apple? Come on! This app only buys into this stupid idea people have that Apple is the best ever. So I had to go out and purchase some overpriced electronic just to access my schedule from home. Now that I actually have it, there is no way to access or edit client notes so everyone crowds around the computer at work just to make skin notes. It's possible to make appointments from he app but it's really difficult and I just gave up. Totes stoops. Love this app for our job but all of our employees keep getting a notification that says the developer of this app needs to update because it's slowing down the phone!!!! I love that I can check my schedule whenever & wherever but the app has gotten incredibly, ridiculously slow. I even had a message pop up on my phone from Apple saying that STX is slowing down my iPhone & needs to be updated by it's makers to be compatible with iOS 10. The last time I left a review, what I had an issue with it actually got fixed!! Thank you! 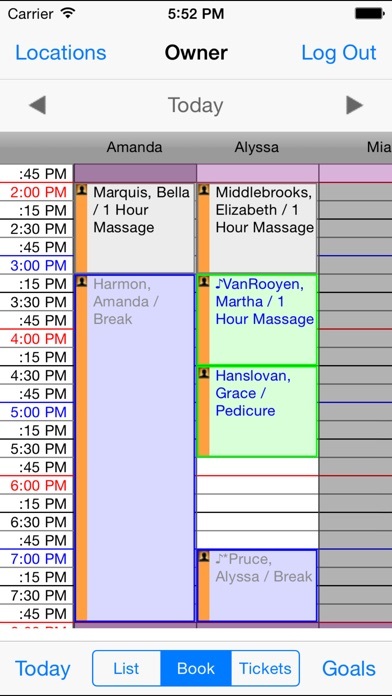 As of right now I wish I could reschedule clients rather than having to cancel and then rebook. It would also be nice to extend the time on my clients appts. It is a bit frustrating only because as an independent stylist I am not fully able to operate independently away from the computers at work where typically our receptionists are and the main server is in the owners office as well. Love stx from the computer but the app is terrible. Half of the time it doesn't even work but when it does it is very limited as to what it will allow me to do. I usually end up having to call my salon and ask them to rearrange things for me because the app is just too basic. I just received a notification on my phone that STX may slow down my device because the developer needs to update the app for it to work more efficiently with iOS. This is not only the story of the iOS app, but the desktop version as well. The only other group of people that has done less in a two year time period has been congress. Please, make STX great again. Potential - but that's it. Before you fire someone or breakup with them one of the things you might say is "There is a lot of potential, but it's not working out." The things I've never liked about the app are: - Lack ability to view/add client notes, it would be helpful to see saved formulas, etc. - The app crashes a lot. And Now the app is stuck in horizontal view. And you view client details unless you're in Landscape. Please fix or lose business! If my salon wasn't using this software I wouldn't bother. For as much as your paying for the software & app, you'd think they can afford a team to update the app. The two most annoying things about this app is that: 1) You CAN NOT ADJUST length of service times 2) You CAN NOT EDIT appointment times ( appointment has to be deleted then you have to re enter client, service etc.) All this app is really good for is, checking your schedule and entering appointments. Pretty basic functions for a $5 app 👎🏽 Dear STX, Listen to the people funding your pay checks and UPDATE your POS app !!! Are you going to upgrade the app so it's compatible for the iPhone 6 & 6+?? The server is always “down”. App works about... 50% of the time. I payed $5 and the app is unable to find my location.